Snugglebug University: The Greatest Show on Earth! 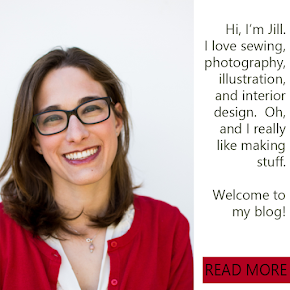 I can't take much credit for the project that I'm going to share with you today! It's actually pretty bittersweet...my kids can put together a blog worthy post all on their own! You all know that I've made my kids tons of puppets in the past. We also made a puppet theater/pretend shop a LONG time ago. The kids started begging me to make them some more, but I suggested that I thought they could do the project all by themselves. They grumbled at first, but then they totally owned it. 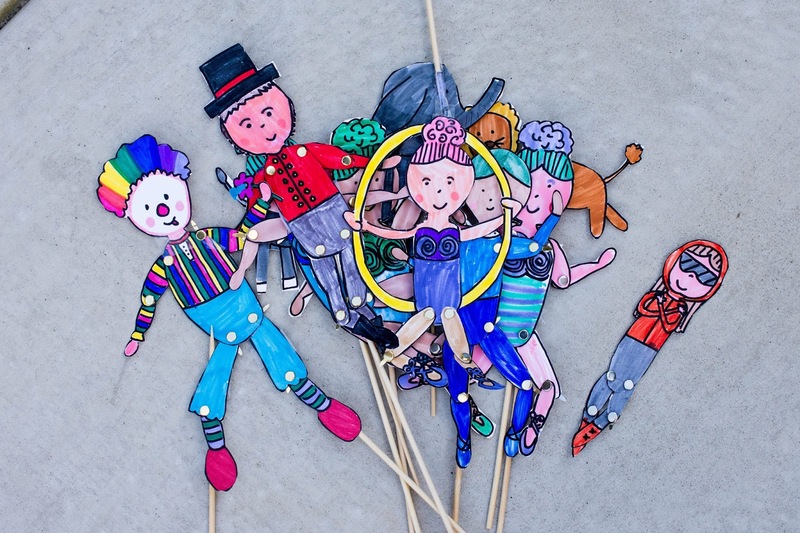 They used my old puppet templates as guides, and made a whole bunch circus themed puppets. I think it turned out so cute!!! They used our old shop/theater and put a box behind it for scenery. 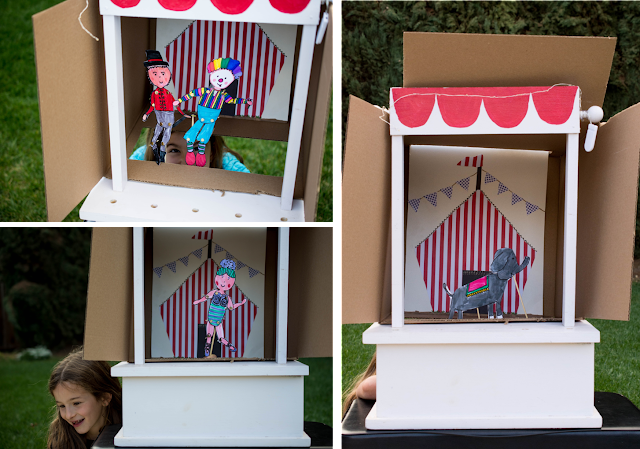 The kits could control the puppets through a slit in the box on the bottom. 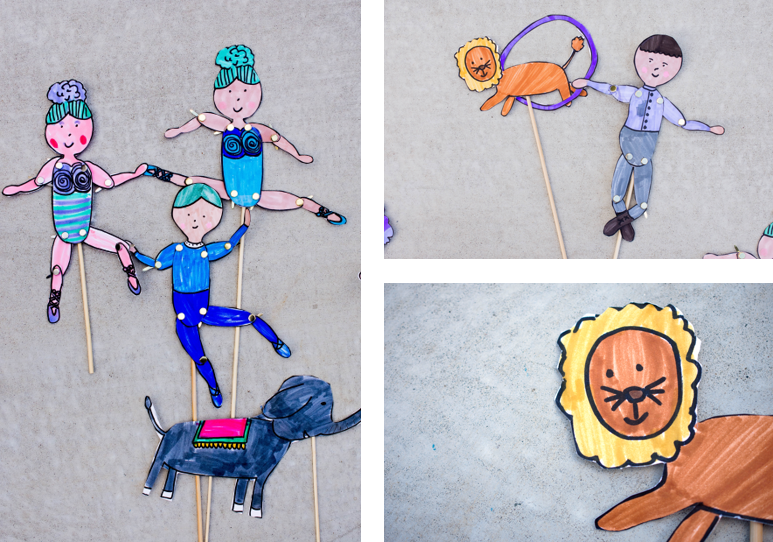 They made acrobats, lion tamers, and more! They even made a girl that flies out of a cannon! So creative! The girls had so much fun making these, that they wanted to make sure that I posted about their project on the blog here, and provided the templates so that you can make your own to color in! 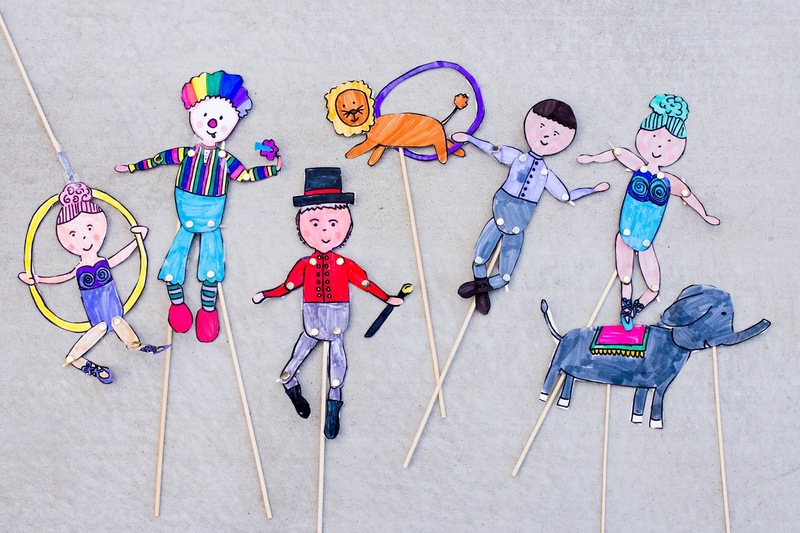 All you'll need are some skewer and some brads to put the puppets together. You can download the templates with this link. 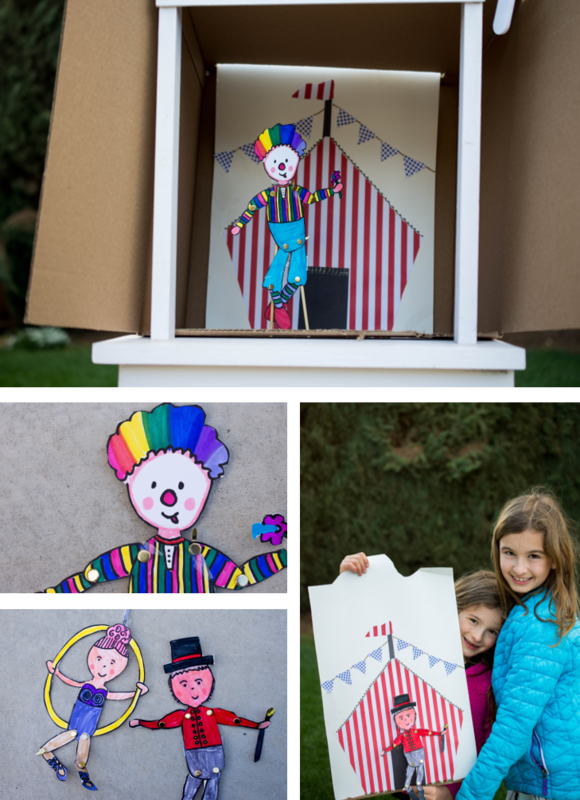 I think it's such a fun spring break project, and I hope your kids love it as much as mine did! Have a great week everyone!